Published by Dedalus Books, and out April 2017, this year will bring us what is said to be 'the first novel to be translated into English from Guinea Bissau'. By turns humorous, heartrending and wise, 'The Ultimate Tragedy' is a captivating novel that brings this little-known country to colourful, vivid life. 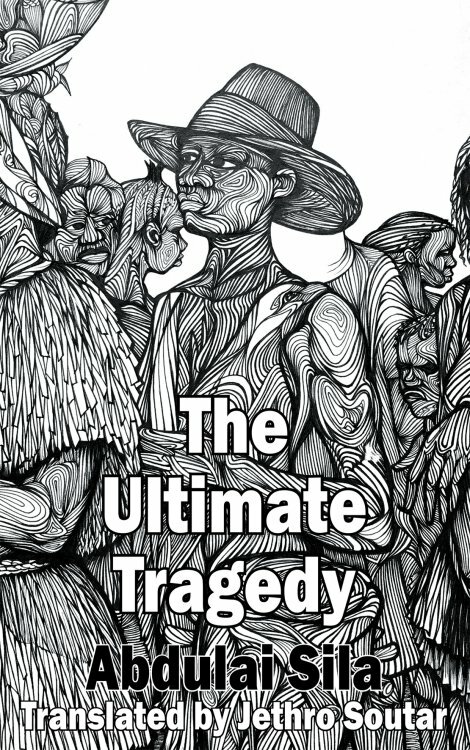 The Ultimate Tragedy was one of the winners of a 2015 PEN Translates award, and has been translated from Portuguese by Jethro Soutar - a translator of Spanish and Portuguese. Soutar's other translated books includes By Night The Mountain Burns by Juan Tomás Ávila Laurel from Equatorial Guinea (published by And Other Stories in 2014), which was shortlisted for the 2015 Independent Foreign Fiction Prize. It also received a PEN Award. The cover has been designed by graphic designer and photographer, Marie Lane; and the cover image (according to Soutar) is by a Portugal-based Bissau-Guinean artist called Cipriano Foncesca.